The third General Assembly of Women in Aviation Middle East Chapter held yesterday, 9th May 2018 at the Dubai International Convention and Exhibition Center under the patronage of His Highness Sheikh Ahmed bin Saeed Al Maktoum, President of Dubai Civil Aviation Authority and Chairman of Dubai Airports. H.E. Jameela bint Salem Al Muhairi, Cabinet Member and Minister - State for Public Education, one of the keynote speakers stated that Emirati women will remain a principal and long term shareholder in the country’s success. Other panels during the assembly discussed about Business Leaders in Aviation, Airports Management and Women in Space and Aerospace. 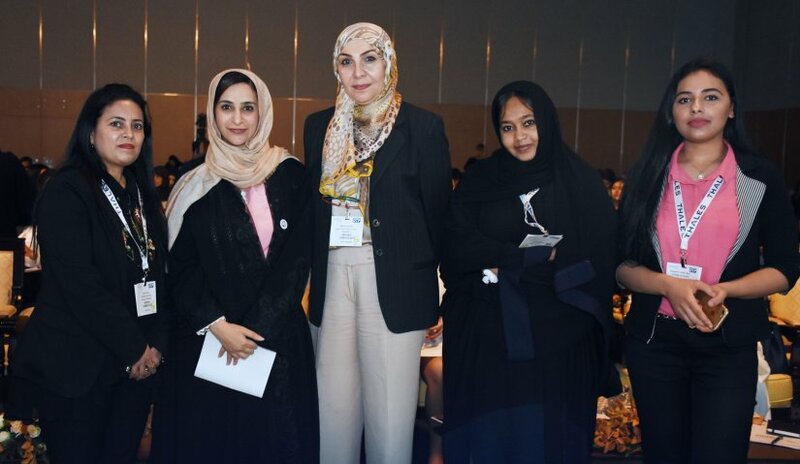 Dr. Rania Jafar, Assistant Professor from College of Law and Dr. Roohi Imtiaz, Assistant Professor from College of Business Administration and a number of students completed Al Falah University’s delegation for the assembly.